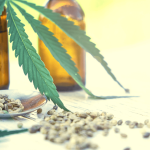 What Is A CBD Tincture and Why Is It Important? If you’re new to the Kats Botanicals community, you might be wondering what a CBD tincture is. 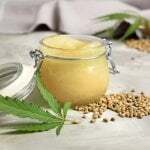 There are plenty of shares on our Facebook page, and our community provides wonderful articles about CBD oil and what it can do for your wellness routine. However, we haven’t covered what a CBD tincture is. 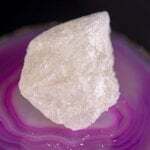 We have shared its ingredients and discussed its benefits. Although, that’s a good place to start, we wants to work backwards and explain it in more depth. In short, a lot of our community members have been asking about tinctures and we want to spread the knowledge. First, let’s talk about what tinctures are. 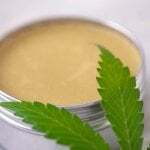 In general, CBD tinctures are extracts created from liquids which come from the CBD-rich hemp plant. In order to get the quality CBD oil/e-liquids that you love so much, several ingredients are used to create these powerful extracts, including vegetable glycerin, ethanol, or another type of nutrient-rich oil. 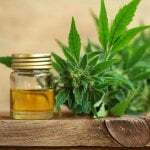 Depending on which side of the spectrum you choose, either CBD oil or e-liquids, these ingredients are important to create the quality tincture you love. A tincture is the process of allowing the compounds in CBD to infuse into a ‘neutral’ state, and then boiled off. After this process has happened, the results are a high potency oil. From here, it’s the vendor’s/supplier’s choice to infuse a specific taste along with the tincture to appeal to the customers’ wants or needs. One infusion I am very excited about is our new flavors coming in our e-liquid. I don’t want to spoil it for you, but we have created a perfect blend of taste and potency which is going to make your mouth water! This infusion provides concentrated potency, meaning – you don’t have to consume as much. Kats Botanicals, along with other CBD oil providers, usually offer a small dropper which comes with your bottle that gives you a good idea of what your amount should be. Tinctures are meant to be applied underneath the tongue and held for 30 – 60 seconds before swallowing. This will ensure that your endocannabinoid system is able to capture every bit of the goodness you’re giving it. One of the main reasons you’ll want to include CBD oil into your daily routine is simply because of a dormant system within your body, waiting to be activated. In case you didn’t know, your body has several “systems,” all operating together to maintain a healthy existence. As I have mentioned in past articles, the endocannabinoid system is also a very important system in your human makeup. The CBD tincture, and all of the cannabinoid compounds that make up the contents in your bottle, cause this system in your body to “wake up” and start working. Your body has two primary cell receptors which make up the endocannabinoid system – Cannabinoid Receptor 1 (CB1), and Cannabinoid Receptor 2 (CB2). CB1 receptors are everywhere in the central nervous system and CB2 receptor cells are located throughout the immune system, the gastrointestinal tract, and peripheral nervous system. The cannabinoid receptors floating throughout your body are crucial because they are found everywhere in the body. The endocannabinoid system is the peanut butter to the ‘jelly’ of CB1 and CB2. They are simply meant to go together. Moreover, there is an important fatty acid called Omega 3. We get the majority of our Omega 2 fatty acids from food. However, in a 2011 study, it was proven that a deficiency of Omega 3 causes mood changes, which is primarily brought on by a poor endocannabinoid system. As you might have guessed, Omega 3 fatty acids are part of cannabidiol (CBD) and another reason why it’s so important to make this apart of your routine. A CBD tincture routine can literally change your life for the better. One endocannabinoid, called anandamide and known as the “Bliss Molecule”, is a neurotransmitter that affects your immune system and a lot of other critical neuro and physical characteristics in your body. However, an enzyme called FAAH searches out and destroys the Bliss Molecule from your body and breaks down any abundant anandamide in your system. This is where a CBD tincture comes in handy because it stops FAAH from getting rid of the excess Bliss Molecule, allowing your body to use it more efficiently. In short, CBD oil is one of the best additions to your daily routine. 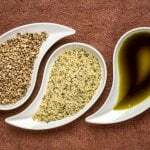 The compelling science behind this oil is staggering. 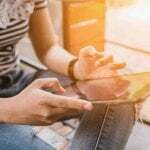 Let me know what you think by sharing this article on social media and spreading the message of CBD oil to your friends. The FDA and pharmaceutical companies definitely don’t want the word out on the benefits of a CBD tincture!